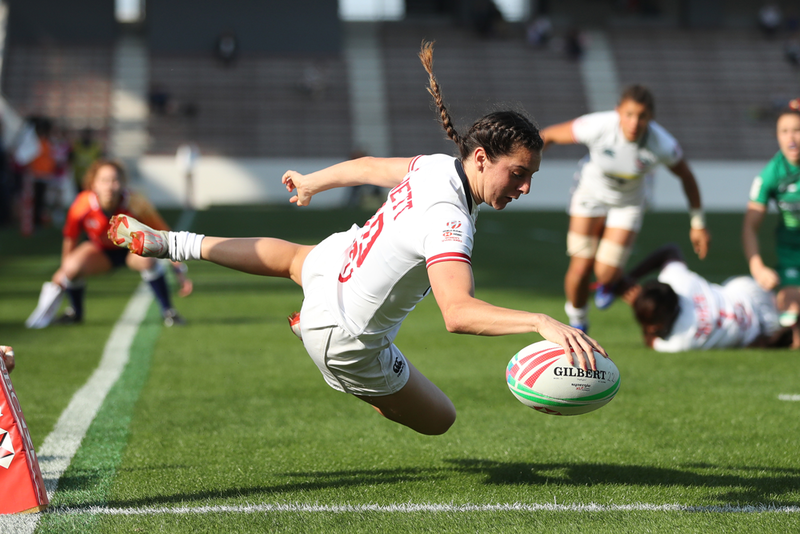 The USA women trounced China 50-0 and dropped a tight one to France 5-12 and stand at 1-1 in the London IRB Women's Challenge Cup! 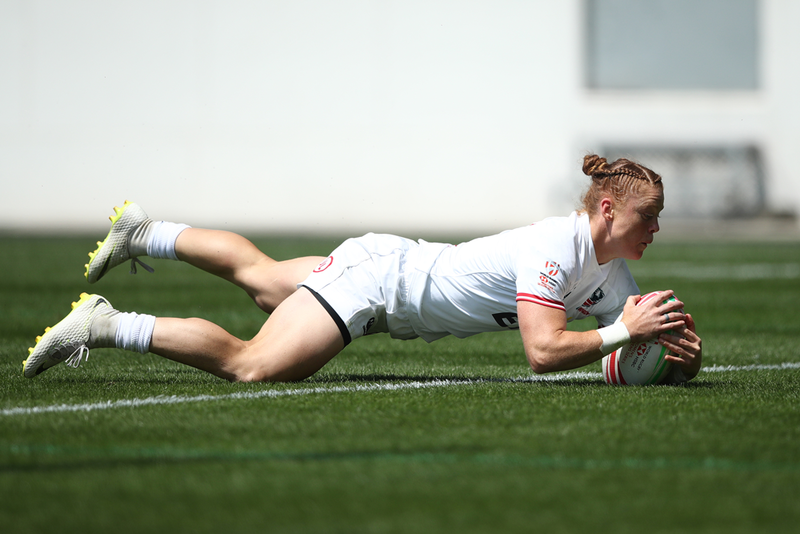 The USA Women’s Eagle Sevens team went 1-2 today in the London IRB Women’s Challenge Cup losing 5-12 to France and 5-22 to defending World Champions, Australia. 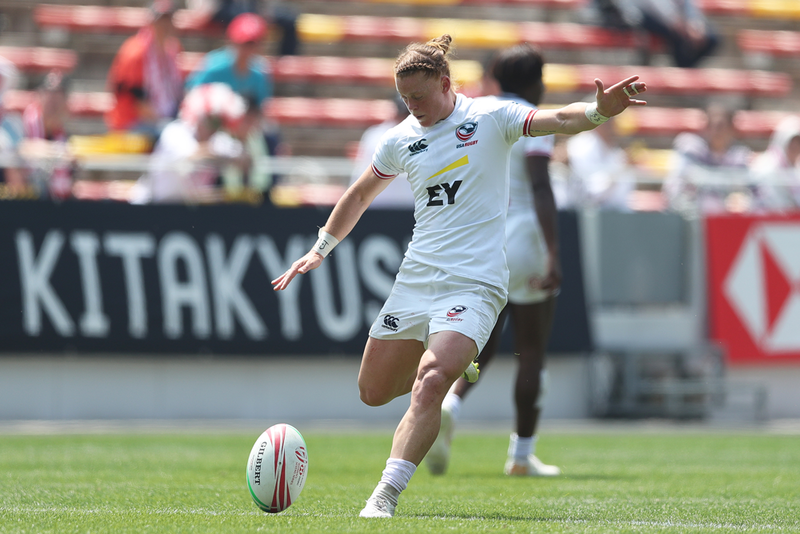 The young USA team showed great promise though and showed what they can do in a 50-0 trouncing of China. 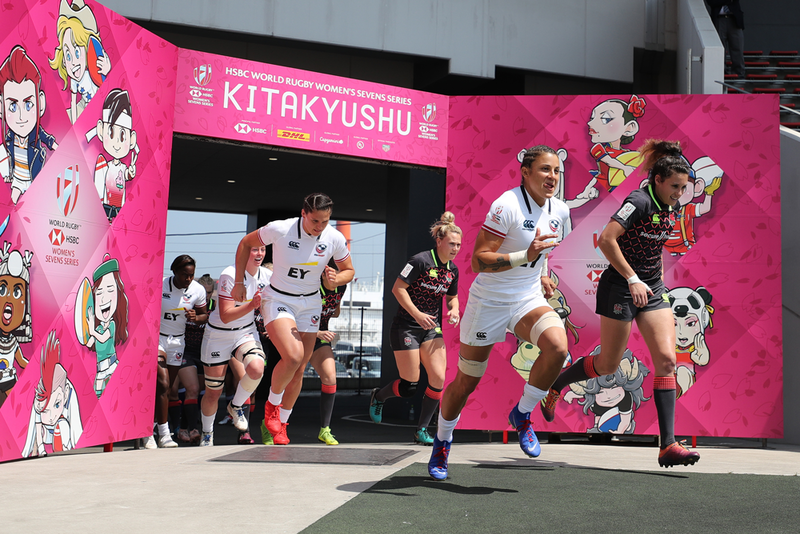 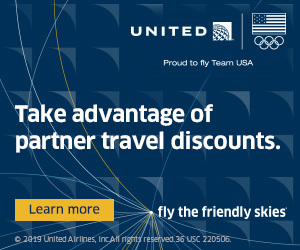 Universal Sports Network and the NBC Sports Network will continue their joint presentation of the 2011-12 HSBC Sevens World Series with four hours of coverage from Japan. 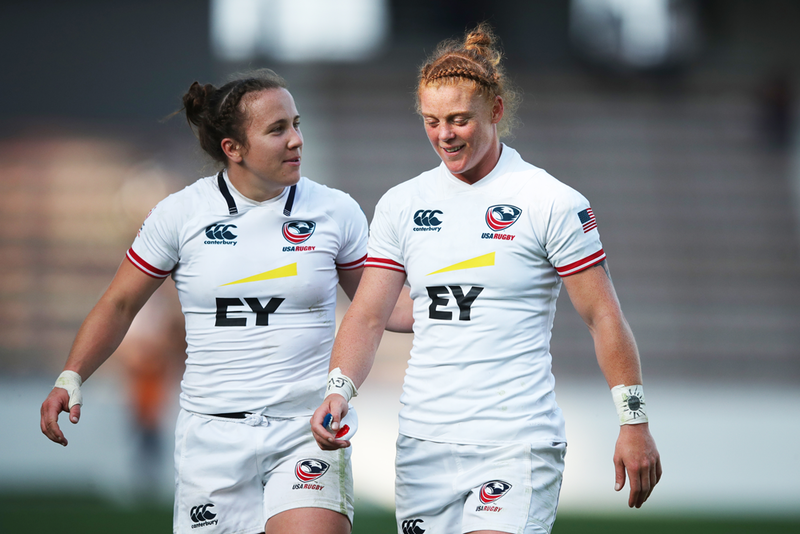 The USA Women's Eagle Sevens fell to a very sharp Australia side 0-33 in the Hong Kong IRB Women's Challenge Cup semifinals on Saturday (March 24, 2012).